Daily Bible Verse 101: I pleaded and the Spirit of Wisdom was given to me. I pleaded and the Spirit of Wisdom was given to me. Paul prays that God "may grant you in accord with the riches of his glory to be strengthened with power through his Spirit in the inner self." (Ephesians 3: 16). What do you know about the Holy and Awesome Spirit? At the lowest point in my life, a true, reliable and credible person told me that all that I "needed is the Holy Spirit." Although I did not see how a holy spirit could resolve all the urgent and real world issues that I faced at the time, I listened because of the authenticity of the witness. At a book fair a couple of months earlier, I purchased a hefty book with the unglamorous title "HOLY SPIRIT" and left it in my book case to gather dust. Call it coincidence or Providence. After the encounter with destiny that I label today: "All you need is the Holy Spirit", I devoured the Holy Spirit book. About ten years prior to this event, I invested heavily in self development literature of the kind of: THE POWER OF POSITIVE THINKING, THE RICHEST MAN IN BABYLON, HOW TO MAKE FRIENDS AND INFLUENCE PEOPLE, THINK AND GROW RICH, etc. I discovered that the HOLY SPIRIT book promises everything the popular psychology literature is selling. The self development literature genre is still very popular today and sells $ billions every year. People are searching for meaning, peace and happiness but are looking in the wrong places. 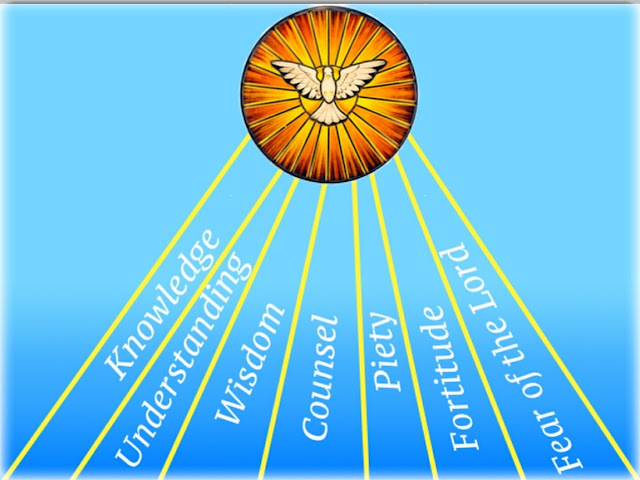 After reading the HOLY SPIRIT, I made a 9-day Novena. On the 9th and final day, I followed to the letter the instructions of the slim booklet I bought for the Novena. Voilà! That was how the Holy Spirit which I received in Confirmation as a careless teenager was activated in me. I have never doubted this experience. After the encounter with the Holy Spirit, I was filled with incredible joy and peace that lasted for months. I thought it would last forever. Peter asked Jesus to allow them stay on the Mount of Transfiguration forever. It never happened. There is work to be done. (Matthew 17: 4). How's the author of the book? Please! Full title and author of Holy Spirit book you reference! We are builders and living stones of God's House. Has the Lord entrusted you with much? Make much money and retire in luxury.